As a Joshua Tree Maternity Photographer, I am always on the look out for a new, beautiful maternity dress to add to my maternity closet. I love being able to provide this service to my clients because I believe every mother-to-be deserves to feel at her most beautiful during her maternity session. For some moms, it's hard to find the right dress, the perfect dress for their photography session, or sometimes the price of a maternity dress can play a factor. So I love to have some options for them to choose from. I also choose dresses that I know will photograph beautifully. Too often, moms-to-be don't feel as beautiful as they are during their pregnancy. It might be hard to see the beauty through the sleepless eyes and swollen feet. However, I can see the beauty instantly. My maternity closet allows my clients to choose a dress that will make them FEEL as beautiful as I see them during their session with me. J & L Designs Boutique. I reached out to the J & L team and talked to Rebecca, who linked me to a couple gowns that she had ready to sell, in the size I was looking for. When I saw the Ashley Dress, I KNEW I had found a great piece to add to my collection. It was unlike any of the other dresses that were currently in my collection. I loved the soft blush color, the boho feel and the lace. It all went together so beautifully. Once the dress arrived it was time for me to find a pregnant mamma who would be willing to model it for me. That's where Lucero comes in. When she reached out that she would be interested in participating, I knew off the bat that she was the perfect mamma for this dress. Her beautiful, long, dark hair was going to contract perfectly against this pale pink dress. Lucero was pregnant with their second daughter at the time of our session and she has since made her way into this world. We had amazing light during our short maternity photography session, but we didn't need long to get some amazing shots of her and her belly and, of course, the dress. This is just one of many dresses I have available in my maternity clients for my maternity clients. Keep an eye out for more blog posts with other dress spotlights. 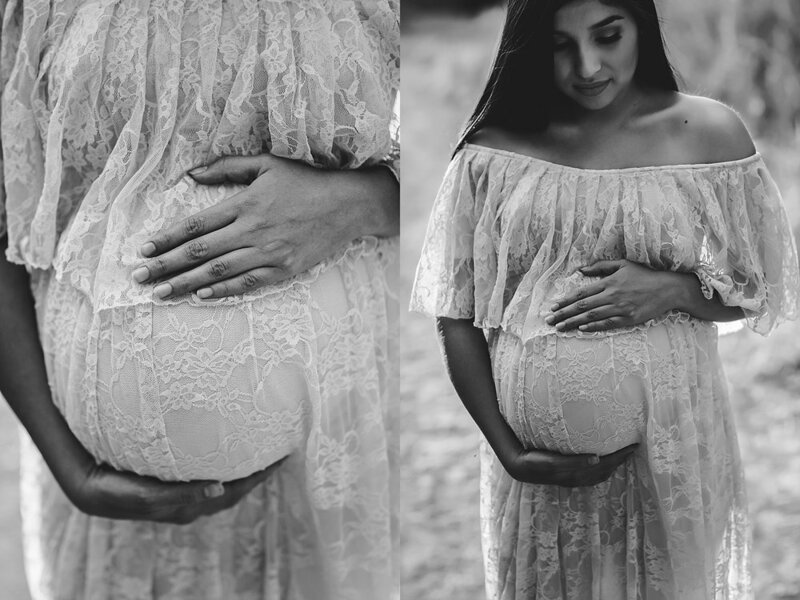 If you are interested in having a Joshua Tree Maternity Photography Session, I would love for you to CONTACT ME. I am also available for and LOVE to travel! Sign up with your email address to receive the latest happenings over at Laura Lynn Photography.